International Women’s Day was held on Friday 8 March 2019, and this year it promoted the concept of balance. We explore what the start-up landscape looks like for women in the UK to find out more about (un)balance in the sector. What does it mean to be a woman in business in the UK today? What are some of the challenges you may face? Where can you find role models? How can you build a network? Which business opportunities exist for mothers? Why is gender equality important in the workplace? We’ll explore some of these key questions. We highlight some of the available data about female entrepreneurship in Britain, and explore what this means for potential female founders. Then, we look at some of the main challenges women can face in business. After that, we share information and advice about running your own business. Are you a woman who’s tried to start your own business and felt like you’re alone? You very well may be. A recent report from the BBC claimed that ‘women are half as likely as men to start a business’ in the UK. This followed on from a government review into why fewer women than men decide to start their own businesses. One of the key findings raised from the review focused on the ‘unfair obstacles’ women are likely to encounter. 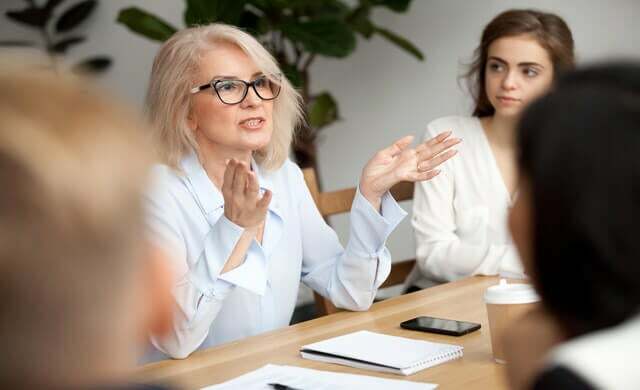 A survey by Unilever Foundry found a lack of female business role models, as well as gender stereotypes and funding discrimmination, were some of the main restrictions. Similarly, an article published in Forbes in September 2018 discussed the lack of female entrepreneurs in the UK. For example, it highlights how fewer than one in five small to medium sized businesses in the UK are women-led. While this highlights a lack of female leadership in small business, there’s a similar lack of women when examining ownership statistics too. For example, in the UK, 22% of small and medium sized businesses are majority owned by women, according to data published by the FSB (the Federation of Self Employed & Small Businesses). For those women who do decide to start a business, it can be difficult to secure funding. Just last month, Forbes examined why female British entrepreneurs are missing out on funding. The article explored the differences in funding between female and male led companies, finding that it is generally easier for male entrepreneurs to secure funding – as well as at higher amounts, and more often – than women. But it’s not all bad news – the average deal size invested in companies led by female entrepreneurs increased from £2.22m to £2.33m in 2018. While any progress is welcome, pause for thought on the fact that this is still around half of the investment deals in companies founded by men, which saw an average deal size of £5.43m. This research was conducted by Beauhurst, a platform dedicated to providing information about fast-growing British businesses. It looked at the funding statistics for female entrepreneurs in the UK. The research also showed that businesses founded by men experienced just a 6% decrease in deal numbers, in contrast to 15% for women entrepreneurs. However, the decline in investment amounts of female-led businesses was 12% – which was less than the 17% decrease that male entrepreneurs experienced. So now that we’ve investigated what the research tells us about women in business, let’s turn our attention to the challenges faced by female entrepreneurs. But what are these challenges, exactly? And how can would-be female founders deal with them? We detail some of the main challenges women may face in business, along with exclusive insight from female entrepreneurs. There can be a culture of doing business and being a leader that conforms to traditionally masculine stereotypes. Plus, the start-up industry tends to be dominated by men. Similarly, female founders launching businesses in male-dominated industries (such as tech) may find barriers to entry, like society’s perceptions of what are and aren’t traditionally female industries and roles. Yael Nevo, co-director and gender consultant at Genderscope, says: “As women, our internalised social norms are also mirrored in our professional interactions. I found myself pitching to all-men panels; I’ve been offered less money than what I’ve asked for both in entrepreneurship prizes and in business loans. Female founders often have limited amounts available to them, and even when funding is available, it can be more difficult to secure. This can lead to issues with attracting talent, finding premises and hours spent at work – as businesses with less funding have less money and resources available. But capital is not only just about money – it’s also about the training, experience and networks that a founder can bring to a business. Karen Gill MBE and Maxine Benson MBE, founders of everywoman, add: “When we launched 20 years ago, we experienced first-hand how difficult it was for women with a vision and a business plan to be taken seriously. When you add into the mix that our business idea was solely focused on supporting female entrepreneurship, you cannot begin to imagine what a tough sell that was! An exciting example of funding is the recent news of the world’s first all-female funding round from Seen on Screen, a dance fitness business. Read our page on business grants for women for more inspiration. People may perceive female entrepreneurs as being limited to starting businesses that only deal with products or services that are stereotypically ‘feminine’. And with concepts such as the ‘old boys club’ and the ‘old school tie’ still prevalent in the UK, some women may find it difficult to access the spaces where key connections are formed. And if they do make it into traditionally male-domainted spaces, they may experience other prejudiced behaviour, including being talked over in meetings, or discounted for funding opportunities. Due to the factors listed here, and others, women may lack the confidence to start their own business in the first place and may be less likely to claim achievements as theirs. In addition, whether it’s emotional, financial or other types of support, asking for help can be a challenge, which can also lead to a fear of failure. Sharon Davis, director of Dales Marketing, states: “I think as women we struggle with confidence in ways that men don’t. From being apologetic about my work, to working extra hours under the guise of wanting to ‘help’ a business out, it can be hard to communicate the value I add. With the gender pay gap still present, it can be difficult to manage personal and professional responsibilities. Plus, there are differing maternity rights for employed and self-employed workers. Also, many men often don’t take the full amount of paternity leave – whether that’s because they don’t know what they’re entitled to, or because society still often sees caring for babies as ‘women’s work’. In the UK, men can take up to two weeks of paternity leave in one go, providing they meet certain criteria. If fathers looking after newborns was more socially acceptable, then parenting duties could be shared, allowing women to spend less time away from the office. With a lot of the UK’s start-up scene focused around London and the south, it’s important to note that women living outside of the capital may face challenges in accessing the same resources necessary to start a business. Some examples of regional initiatives that women can access include: the Dales Business Women events for women living in the Yorkshire Dales, the events and membership offered by the Association of Scottish Businesswomen, or mentoring from Women in Business for women in Northern Ireland. There are cultural differences around the world towards gender and leadership. For example, the idea of ‘pivoting’ behaviours according to a particular country and its view of how women should be leaders, as discussed in this Harvard Business Review article. Both in the UK and internationally, there can be differences in the type of education people are able to access. More can be done to promote starting a business as a viable career option within the education system. It’s important to note that some of these challenges – such as asking for help or working long hours – are challenges that anyone starting a business is likely to face. However, not all women will face the same challenges when starting their own business. For example, there are challenges that female BAME entrepreneurs or LGBTQI people may face specifically. The overarching themes of challenges faced by female entrepreneurs are often around culture and barriers to entry. So what are some ways of addressing these issues? What advice would you offer to women that want to start their own business? Women are prominent in the field of self-employment, but their reasons for starting a business tend to be different from men. Women are often inspired by family, as well as wanting to balance work and home and manage their own careers. Similarly, businesses led by women often fail due to factors that centre around financial, operational or personal reasons. In addition to including more diverse approaches, there are a number of positives to increasing the number of women-led businesses, such as more jobs available on the market, increasing the UK’s standing in the international business landscapes, and not to mention, inspiring other women to follow suit. It’s important to have female business role models, whether you’re just starting out or are further along on your start-up’s journey. Knowing there are other people who can say they’ve been there, done that, and understand what motivates you can be inspiring. Finding a female business role model can be extremely helpful, whether that’s to advise on your business plan or share tips on productivity, for example. But how do you find a role model in the first place? A good place to start would be a women’s mentoring scheme, where women can guide and support each other. We hear from successful female entrepreneurs on who their female business role models are. Gill and Benson state: “Female role models are incredibly important. They empower women in business, provide inspiration and reset negative mind-sets. “Our role models such as Dame Mary Perkins, Charlotte Tilbury and Cath Kidston support everywoman. Every female we reach out to are our own role models too. Nevo adds: “You can’t be what you can’t see. Seeing someone like you, in positions of influence, is inspiring; it normalises the possibility that it might be you one day. For more inspiration, watch our video with a message from Startups 100’s female founders to aspiring business women. If one of the major challenges for women starting their own businesses is having to navigate business networks and events that are geared towards male audiences, then finding and supporting women in business events is crucial. How? You could join a network or membership club aimed at women specifically – this could be regionally, nationally or internationally. Some places to look for these opportunities include your university, or a coworking space. Also, attending conferences gives you the chance to learn about issues that are important to your industry, as well as the opportunity to network with other women. Check out our guide to support groups and resources for female entrepreneurs for more inspiration. A quick online search can help point you in the right direction too. If you can’t find the type of support you want – or you spot a gap in the market for an event or network that’s not currently available – why not start your own? This could be a digital community, or in-person gatherings, which you can easily create with sites like Meetup. What is the best time to run it? 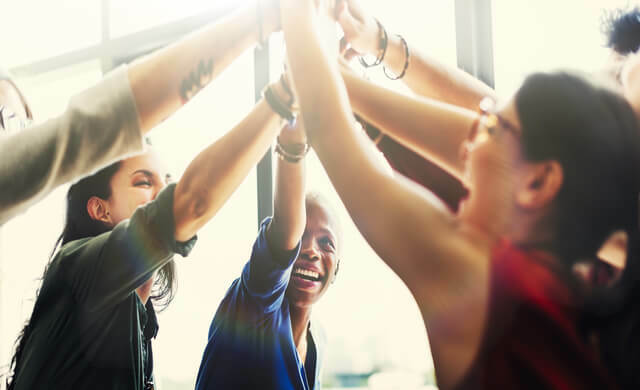 Women-only events help to create a sense of togetherness for women in business, emphasising the importance of women helping, and collaborating with, each other. “We developed an Entrepreneur membership platform for people who want to make meaningful connections. “At Centuro Global, we will be hosting a series of exclusive membership events to help entrepreneurs truly scale their businesses through the help and support of our global professional network. Kameese Davis says: “I would say just get out to any business events that interest you and don’t be afraid to challenge the stigma of a ‘boys club’ of business. Sharon Davis says: “There are so many online business groups which offer excellent opportunities to share best practice, have a moan and gain new leads, especially on Facebook. “I think it’s important to attend a variety of events including mixed networking because we will only change the status quo if we show up. Gill and Benson add: “For those women starting out, attending an event fine-tunes those networking skills and you never know who you may meet. That person could open up a new opportunity for you, or challenge breakthrough thinking with a particular challenge you are facing. “If you have identified a gap in your knowledge, seek events that will inform you and keep you abreast of developments. Online events such as a Facebook community Q&A are popular too. Events have scope to go beyond a local community, giving businesses critical mass. events coming up for members to subscribe to. Nevo states: “There are many events nowadays created specifically for women in business, which are valuable and can provide them with support and networking opportunities. … as well as dads and guardians! Essentially, any business idea is an opportunity for a mum, dad, parent or guardian – it’s possible to do both. However, the focus does seem to be on businesses that can be run from home, especially when looking after children in the early years. While the above may help you run a business from your home, parents don’t necessarily have to focus only on creating a home-based start-up. We share some advice about running a business and a family at the same time. Essentially, it’s about finding balance between your business duties and your responsibilities at home. That could be working out the optimum time for you to complete tasks, or setting aside hours in the day that are solely for family or work. Similarly, understand that it’s not possible to do everything, and so you can divide tasks or duties to others at home or in the workplace. members and now my children are old enough to take an interest in what I do each day. In the UK, the Equality Act 2010 is the legislation which governs discrimination. Two of the key areas for change in terms of improving gender equality in the workplace are through legislation and board diversity. Flexi-time and childcare vouchers are just two examples of policies that can help to promote gender equality. Similarly, diverse hiring choices at all levels – up to and including on the board – is key. Nevo says: “We believe that in order to bring about real change businesses need to understand how gender dynamics influence their company as a whole, affecting everyone. At Genderscope we see the term ‘Gender’ not as equivalent to ‘Women’ or ‘LGBTI+’ but as a social structure we all interact with in different ways. What are the benefits of board diversity? The benefits of board diversity include creating a more equal and open culture, as well as hearing from different perspectives. It can also help to make international trade more accessible to your company, as you may have greater insight into the working cultures of other countries. The benefits may be external too, such as increased brand awareness, with diversity seen positively. This in turn can help to make your business more appealing to a wider range of people, and so increasing the talent that your company can attract – and so the cycle continues. Are there any myths about female entrepreneurship that you’d like to bust? While the statistics listed at the start of this article may make the outlook seem bleak, there are plenty of reasons why we need more women-led small businesses. With the ways in which female entrepreneurs can connect increasing (not to mention the importance of potentially becoming a role model yourself) it’s an exciting, if somewhat challenging, time to be a female founder in the UK today. Remember that what makes you you – whether that’s your gender, being a parent, or the many other things – should be seen as elements that can help and not hinder you when running your own business. When we recognise and celebrate this at all levels, from kitchen table side hustles through to boards of multi-million pound companies, that’s success.